Plate 19cm, Bowl 13cm, Mug 0.2L / Plate 3.5", Bowl 5", Mug 7fl.oz. 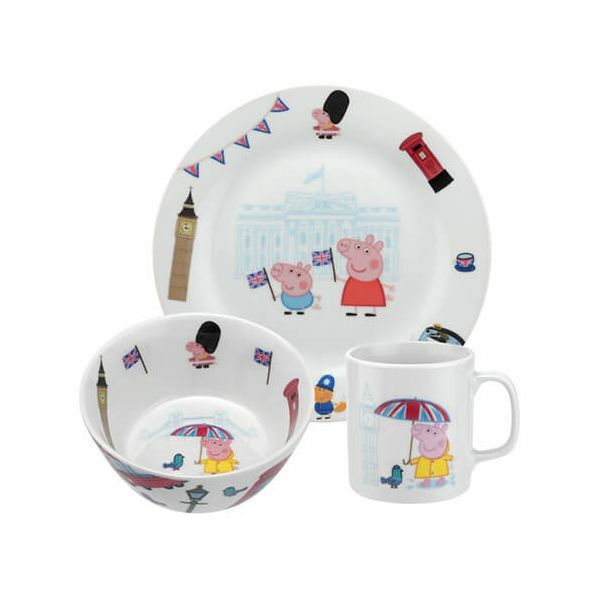 This Peppa Pig London set includes a plate, bowl and mug in bright and fun colours featuring a Peppa Pig in London theme. This 3 piece set is made from quality porcelain and is ideal for serving food and drink to children or makes a lovely gift for a child.